You might have heard the buzz surrounding these exhibitions, plus we’ve picked a few you may like — if you’re undecided about whether or not to see them, here’s our guide to which are worth it. All but two are free to visit. This mix of archive footage of nuclear weapons testing is hypnotising and terrifying in equal measure. 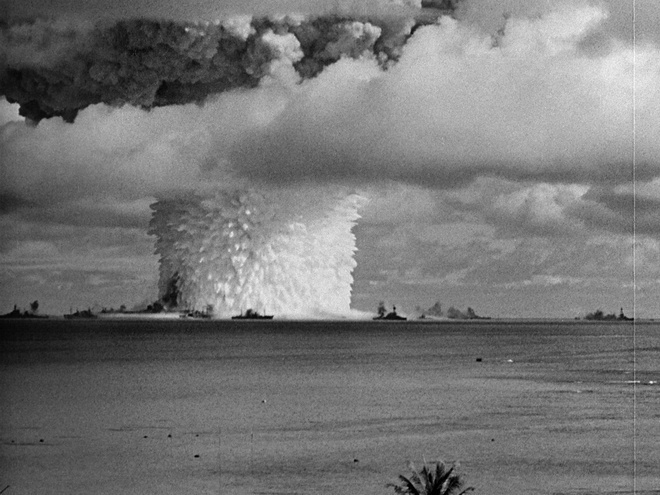 The sheer destructive power of an undersea nuclear test makes for a gripping video piece. Until 1 August. Sunsets and seashells meet the city in these contorted photographs and sculptures, where a blazing sun sits next to a rubbing of a manhole cover and footprints. This exhibition is full of ideas around the cycle and importance of water, and while the results are aesthetically pleasing the deeper message is a jumble and never lands. Until 13 September. The director best known for the film Hairspray has created a dark and cheeky exhibition that riffs on celebrity and pop culture. Ansel Adams' scenic landscape photography is interrupted by a plane crash while Jackie and John F Kennedy leave a plane with the Grim Reaper in tow. The light hearted tone of the delivery makes for a surreal and playful show. Until 15 August. 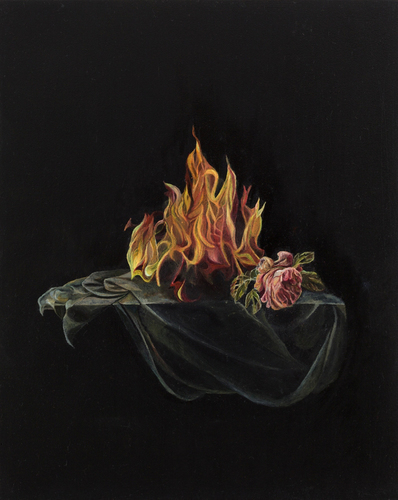 A talented painter, Bennett takes inspiration from vanitas painting and gives them a contemporary and fiery twist. These paintings may be small but the rich blackness draws you in to examine these excellent paintings. Until 25 July. This feels like two separate shows by the same artist. On one side is a spatial exploration of interiors and exteriors that fails to leave a lasting impact. On the other is a record of the plants used by native tribes people in the Amazon — an environmental message that feels outdated and cumbersome. Until 13 September. A small display of 13 drawings largely of Josephine Bonaparte show a skilful hand at work. None of the works overawe but there is a delicate beauty to them. Until 15 November, tickets are £6 for adults and include admission to the excellent permanent collection. 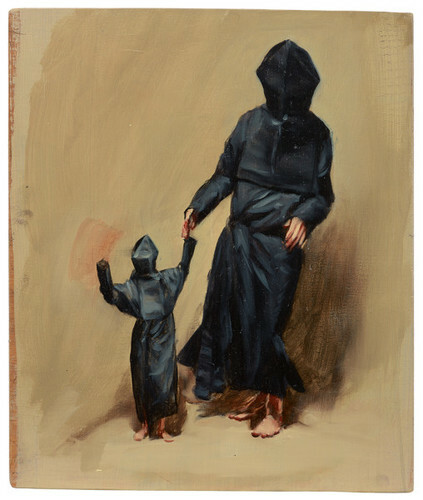 Ambiguous black hooded forms abound in this exhibition, which is stronger where it is more serious and weaker when the paintings show a playful side. There are two floors of paintings to view in this superbly lit exhibition. Until 14 August. Following on from Ryoji Ikeda's light and sound meets particle physics, is this overwhelming display of colour. A long screen rhythmically changes colour and another room allows visitors to hear the sounds of different colours. It's yet another innovative display from this excellent venue but this time, despite being visually stunning, it lacks the depth of previous showings. Until 2 August. It's all about space at this gallery. Downstairs is the excellent photography of the darkness of the night sky by Dan Holdsworth and Sophy Rickett, while upstairs contains some vintage NASA photographs. Until 1 August. These fleshy nudes will always draw parallels with the work of Lucien Freud. They lack the same impact, but that is a very high benchmark to hold Pirandello up against. The paintings have a softer edge to them but this doesn't detract from their evocative nature. Until 6 September.